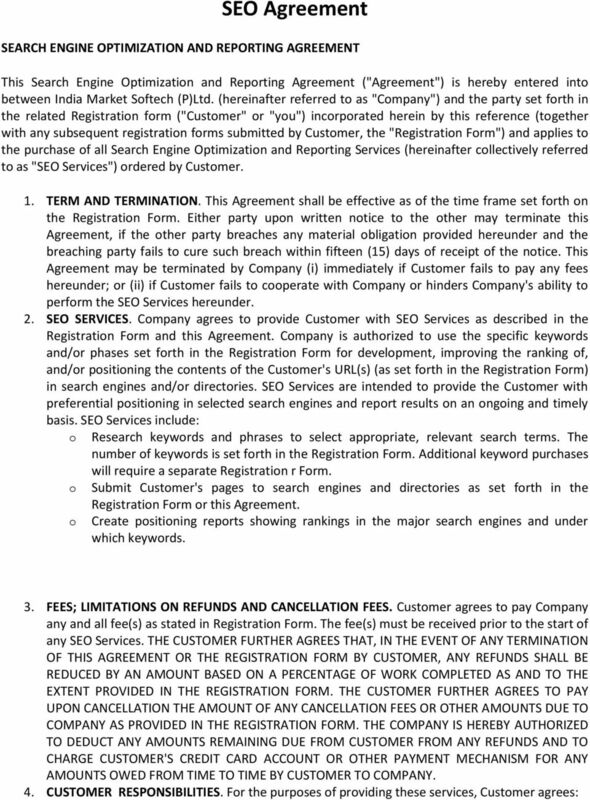 Download "SEO Agreement SEARCH ENGINE OPTIMIZATION AND REPORTING AGREEMENT"
4 records, computer retained information, notes, or financial information. Proprietary or Confidential Information shall not include any information which: (i) is or becomes generally known to the public by any means other than a breach of the obligations of the receiving party; (ii) was previously known to the receiving party or rightly received by the receiving party from a third party; (iii) is independently developed by the receiving party; or (iv) is subject to disclosure under court order or other lawful process. The parties agree not to make each other's Proprietary or Confidential Information available in any form to any third party or to use each other's Proprietary or Confidential Information for any purpose other than as specified in this Agreement. Each party's proprietary or confidential information shall remain the sole and exclusive property of that party. The parties agree that in the event of use or disclosure by the other party other than as specifically provided for in this Agreement, the nondisclosing party may be entitled to equitable relief. 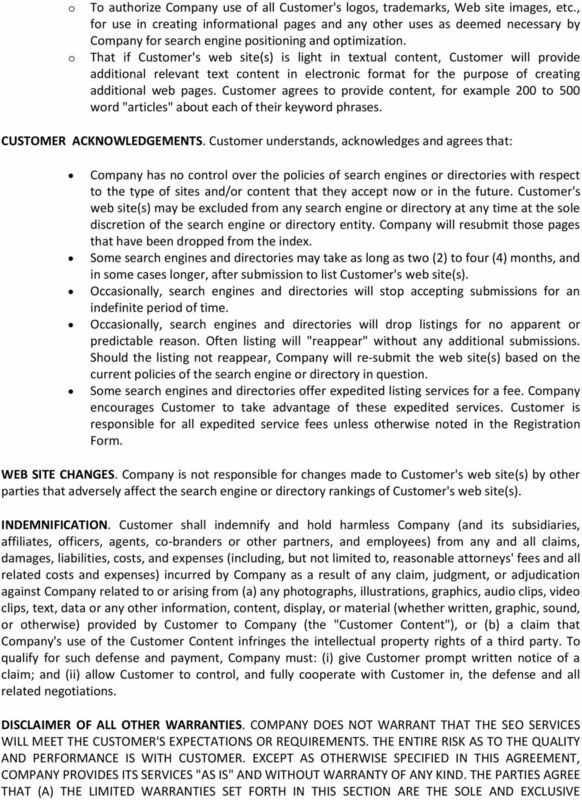 Notwithstanding termination or expiration of this Agreement, Company and Customer acknowledge and agree that their obligations of confidentiality with respect to Proprietary or Confidential Information shall continue in effect for a total period of three (3) years from the effective date. FORCE MAJEURE. Neither party will be liable for, or will be considered to be in breach of or default under this Agreement on account of, any delay or failure to perform as required by this Agreement as a result of any causes or conditions that are beyond such Party's reasonable control and that such Party is unable to overcome through the exercise of commercially reasonable diligence. If any force majeure event occurs, the affected Party will give prompt written notice to the other Party and will use commercially reasonable efforts to minimize the impact of the event. RELATIONSHIP OF PARTIES. Company, in rendering performance under this Agreement, shall be deemed an independent contractor and nothing contained herein shall constitute this arrangement to be employment, a joint venture, or a partnership. Customer does not undertake by this Agreement, the Registration Form or otherwise to perform any obligation of Company, whether by regulation or contract. In no way is Company to be construed as the agent or to be acting as the agent of Customer in any respect, any other provisions of this Agreement notwithstanding. NOTICE AND PAYMENT. Any notice required to be given under this Agreement shall be in writing and delivered personally to the other designated party at the addresses listed in the Registration Form mailed by certified, registered or Express mail, return receipt requested. Either party may change its address to which notice or payment is to be sent by written notice to the other under any provision of this paragraph. JURISDICTION/DISPUTES. This Agreement shall be governed in accordance with the laws of the Courts located at Chandigarh Jurisdiction. All disputes under this Agreement shall be resolved by litigation in the courts located at Chandigarh Jurisdiction including the courts therein and the Parties all consent to the jurisdiction of such courts, agree to accept service of process by mail, and hereby waive any jurisdictional or venue defenses otherwise available to it. AGREEMENT BINDING ON SUCCESSORS. The provisions of the Agreement shall be binding upon and shall inure to the benefit of the Parties hereto, their heirs, administrators, successors and assigns. ASSIGNABILITY. 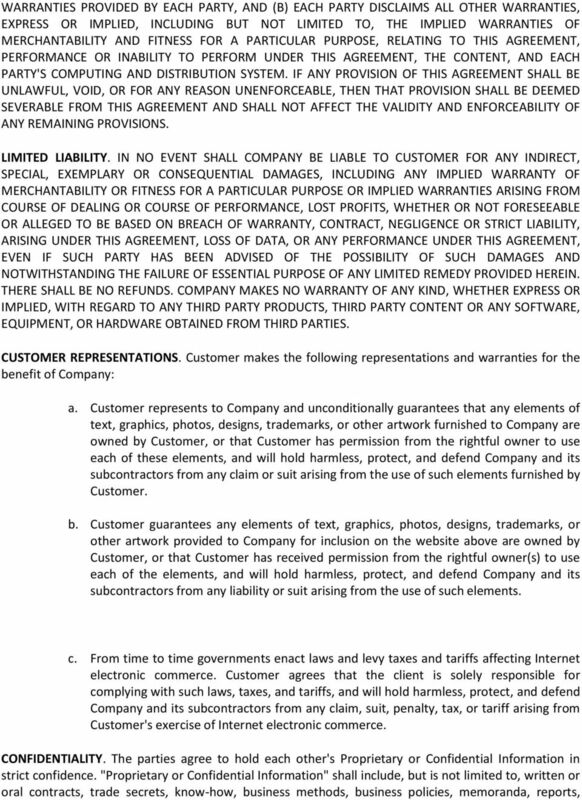 Customer may not assign this Agreement or the rights and obligations there under to any third party without the prior express written approval of Company. Company reserves the right to assign subcontractors as needed to this project to ensure on-time completion. 5 WAIVER. No waiver by either party of any default shall be deemed as a waiver of prior or subsequent default of the same of other provisions of this Agreement. SEVERABILITY. If any term, clause or provision hereof is held invalid or unenforceable by a court of competent jurisdiction, such invalidity shall not affect the validity or operation of any other term, clause or provision and such invalid term, clause or provision shall be deemed to be severed from the Agreement. INTEGRATION. This Agreement constitutes the entire understanding of the Parties, and revokes and supersedes all prior agreements between the Parties and is intended as a final expression of their Agreement. It shall not be modified or amended except in writing signed by the Parties hereto and specifically referring to this Agreement. This Agreement shall take precedence over any other documents which may conflict with this Agreement. NO INFERENCE AGAINST AUTHOR. No provision of this Agreement shall be interpreted against any Party because such Party or its legal representative drafted such provision. DISPUTES. Customer and Company agree to make a good-faith effort to resolve any disagreement arising out of, or in connection with, this Agreement through negotiation. 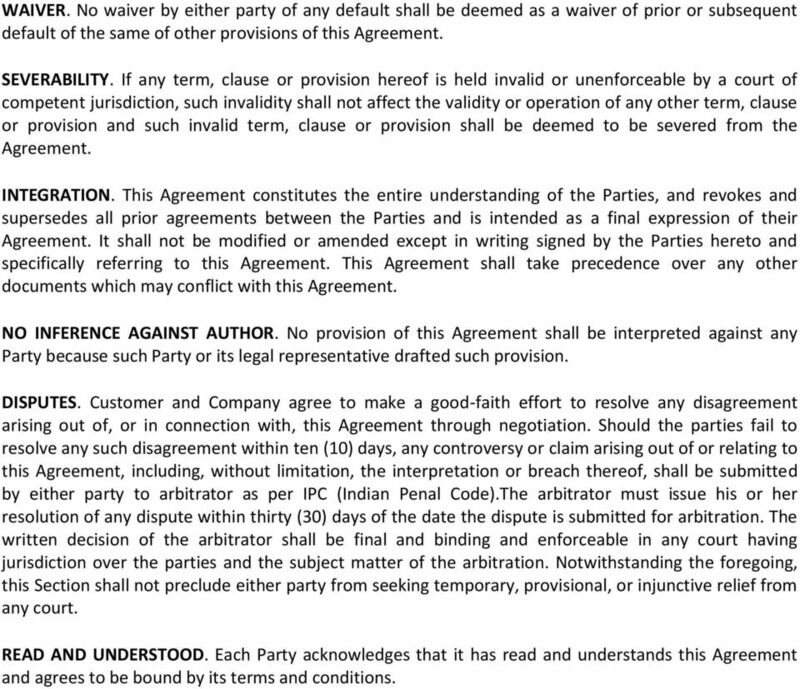 Should the parties fail to resolve any such disagreement within ten (10) days, any controversy or claim arising out of or relating to this Agreement, including, without limitation, the interpretation or breach thereof, shall be submitted by either party to arbitrator as per IPC (Indian Penal Code).The arbitrator must issue his or her resolution of any dispute within thirty (30) days of the date the dispute is submitted for arbitration. The written decision of the arbitrator shall be final and binding and enforceable in any court having jurisdiction over the parties and the subject matter of the arbitration. Notwithstanding the foregoing, this Section shall not preclude either party from seeking temporary, provisional, or injunctive relief from any court. READ AND UNDERSTOOD. Each Party acknowledges that it has read and understands this Agreement and agrees to be bound by its terms and conditions. Leads may be resubmitted within 4 months of the leads license renewal date. The Designer estimates reaching satisfactory completion of the Services within six weeks of the Effective Date.